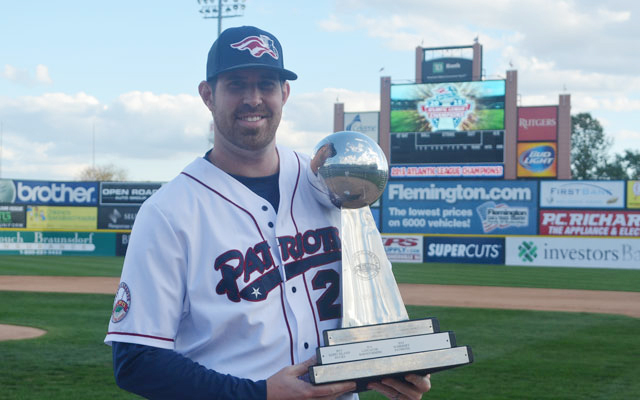 (Bridgewater, N.J., Jan. 25, 2016) – The Somerset Patriots have announced the re-signing of record-breaking closer Jon Hunton, who will also serve once again as the Director of Player Personnel. “Even though I have a couple seasons under my belt doing both roles the preparation for the 2016 season is similar to any other except for this season we are defending champions. I want to make sure just like any other season that we have not only great players on the field, but great guys in the clubhouse. I'm excited to put together the 2016 roster with the goal of keeping the championship in Somerset,” said Hunton.